PHS: Received the opening kick-off returning it to their own 35-yard line. On the first play from scrimmage, Micah Sanchez threw an interception and it was return for a touchdown. VVHS: The Van Vleck Leopards returned the interception for a pick six. The PAT kick was good making the score 7-0, Van Vleck. PHS: Received the kick-off returning it to their own 30-yard line. After two first downs the Sharks three plays and punted to the Van Vleck 7 yard line. VVHS: The Van Vleck Leopards took over on their own 7-yard line. After making three first downs they connect on a 22-yard TD pass. The PAT kick was good making the score 14-0 Van Vleck. 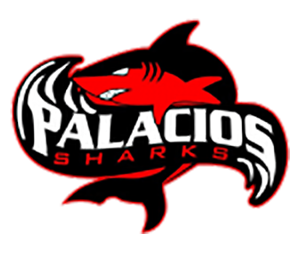 PHS: The Sharks returned the kick-off to the Van Vleck Leopards 45-yard line. After three plays, the Sharks punted. VVHS: The Van Vleck Leopards took over on their own 28-yard line. After making two first downs the Van Vleck Leopards scored on a 7-yard run. The PAT kick failed. The score Van Vleck 20 the Sharks 0. VVHS: The Leopards failed on 4 downs to make a first down, turning the ball over to the Sharks. PHS: The Sharks made one first down before giving the ball back to Van Vlack after four plays. VVHS: Van Vleck ran one play and the clocked read 0:00 taking us to the half. VVHS: Returned the kick-off to their own 35-yard line. After three plays, the Leopards punted. PHS: The Shark’s took over on the 50 yard line and had a quick three and out. VVHS: Took over on their own 30-yard line, again another quick three and out. PHS: Took over on their own 40-yard line, after three plays the Sharks attempted a punt, but the snap sailed over the punter’s head. VVHS: The Leopard took over on the Sharks 23 yard line. After four unsuccessful plays to make a first down the Sharks took over on their own 9-yard line. PHS: Taking over on their own 9-yard line, the Sharks made one first down and then punted after three plays. VVHS: The Leopards then fumbled on the 50-yard line. PHS: Ryan Bowers recovered the ball on the 50. After several long runs and first downs, the Sharks fumbled on the Van Vleck 18 yard line. VVHS: The Leopard ran the clock out along with the game. In summary, the Sharks put forth a great effort in the second half. The entire coaching staff is very proud of our young men. They represented the Shark community very well. Defensive standouts included Miguel Sanchez, Hunter Hodge and Ryan Bowers. Offensive standouts were Micah Sanchez, Miguel Sanchez and Damian Zarate.